The Financial Times has updated its Global MBA Ranking for 2016. This year, Insead, the business school with campuses in France, Singapore, and Abu Dhabi, leads the ranking. Notably, this is the first year in the ranking's history that a one-year MBA program has led the list. When the Global MBA ranking launched in 1999, Insead was ranked 11 and has since then risen steadily through the top-ten. The school is currently ranked as a top business school for careers in Consulting, Luxury, Private Equity, and Strategy, according to FIND MBA. The FT's data report that Insead's class of 2012 have an average salary of around $167,000 three years after graduation, an increase of 96 percent over what they made before the MBA. Insead has unseated Harvard Business School's MBA program from the top position—where it's been since 2013; Harvard is now the second-best MBA program in the world, according to the FT. The rest of the top five are MBA rankings stalwarts: London Business School is ranked third; Upenn's Wharton School is fourth, and Stanford is ranked fifth. Most of the rest of the top ten are US schools: Columbia Business School, UC Berkeley's Haas School of Business, the University of Chicago's Booth School of Business, and MIT's Sloan School of Management, in that order. This year, the University of Cambridge's Judge Business School breaks into the top ten for the first time since it was ranked number ten in 2008. Judge debuted in the ranking in 2004 at position number 34 and has risen steadily since then. 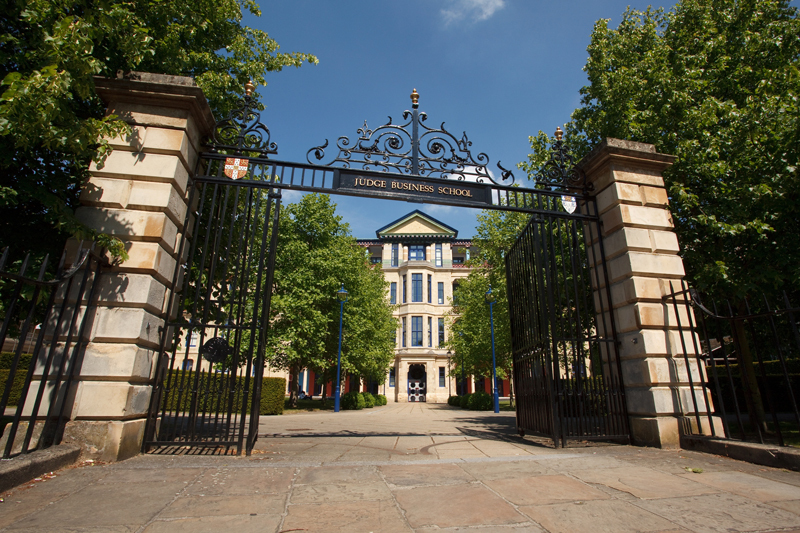 Besides London Business School, Judge is the only other UK business school to ever make the top ten. A few schools gained (or lost) a lot of ground in this year's Global MBA Ranking. Spain's IESE Business School dropped nine places, from spot number seven to spot 16. Singapore's Nanyang Business School dropped 11 spots, from 40 to 29. Lancaster University Management School gained 15 spots, rising from position number 50 to spot 35. Likewise, China's Shanghai Jiao Tong University: Antai rose 16 places to take the 39th position. Two schools make their debut in this year's ranking. China's Renmin University of China School of Business, which is ranked 43, and the University of Connecticut School of Business, which is ranked 96. In the Global MBA Ranking, the Financial Times ranks MBA programs based on a variety of factors. While the biggest factors in the ranking are alumni salary today and salary increase, other important criteria include a business school's research footprint, the international mobility of graduates, and the number of PhD graduates. This year, the ranking collected salary data from the class of 2012. See more MBA rankings on FIND MBA's MBA Rankings page. Below are the top 20 MBA programs, as ranked in the 2016 edition of the Global MBA Ranking from the FT, along with their change from last year.